« Mice cloned after 16-yr freeze — Mammoths next? Eleven winners of the "Japanese New Souvenir" competition -- a public contest to recognize novel souvenir concepts that creatively express elements of Japanese culture -- were exhibited last weekend as part of the Design Touch festivities at the Tokyo Midtown complex. Coming soon to a souvenir shop near you. 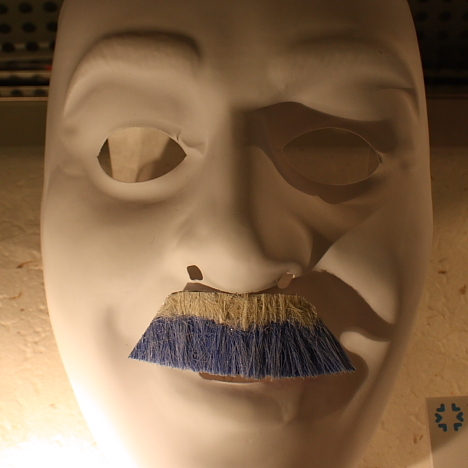 "Moustache Fuji," a fake moustache resembling a snow-capped Mt. Fuji, is a subtle but bold fashion statement that pays homage to Japan's most sacred landmark. Described as a "moustache communication tool," this fun-to-wear facial accessory lets you inject a little Japanese flair into meetings, parties and summits. "Air-Bonsai," a vinyl toy shaped like a potted dwarf pine, gives the traditional Japanese art of bonsai a pop-culture makeover. 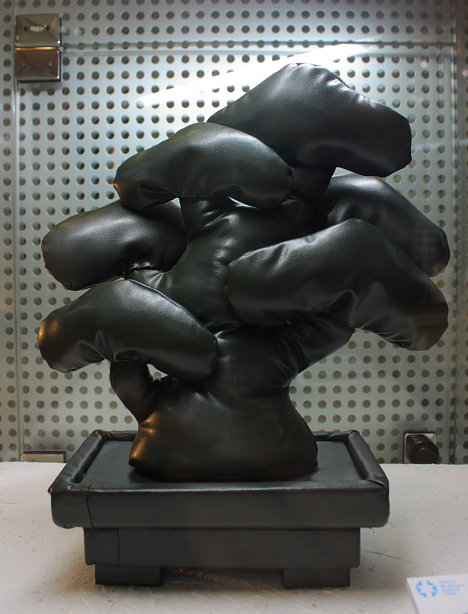 The soft vinyl tree packs flat into your suitcase for easy transport home. 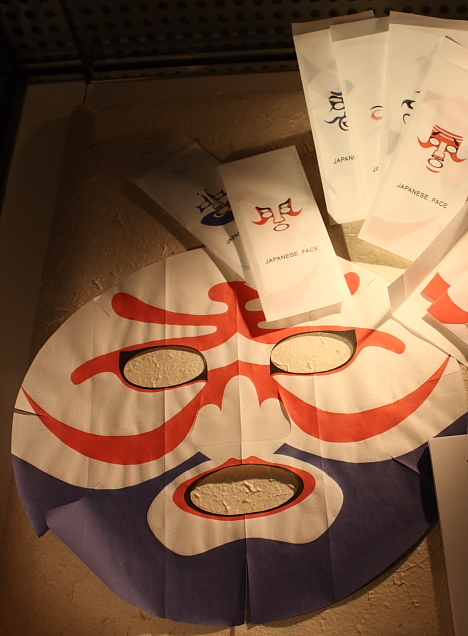 These "Japanese, Face" beauty masks moisturize the skin while giving you a traditional Japanese kabuki-esque appearance. Inspired by Hokusai's famous "36 Views of Mount Fuji" series of woodblock prints, the "139 Views of Mt. 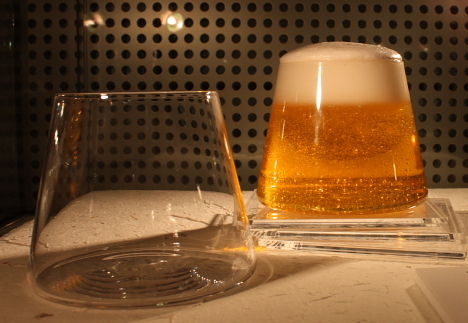 Fuji" drinking glass lets you reflect on the ephemeral beauty of Mt. Fuji and the Japanese seasons while you drink. Enjoy a different "view" of the mountain with each new type of beverage you pour. Other top souvenir concepts (not pictured) include "Kutsu-kutsushita" socks colored to look like shoes, incense sticks tied into traditional mizuhiki knots, and a round red "Hinomaru" paperweight that instantly transforms a stack of paper into the Japanese flag. In addition to cash prizes, the winning designers will receive active support to help turn their concepts into marketable products. The contest was organized by Tokyo Midtown Design Hub, a consortium of industrial designers, graphic designers and educators focused on promoting Japanese design. Those are some pretty wicked souvenirs.